I've heard from some alums recently who've been getting together with old MCVB pals, both near and far from Middlebury, and were nice enough to send pictures of their rendezvous. 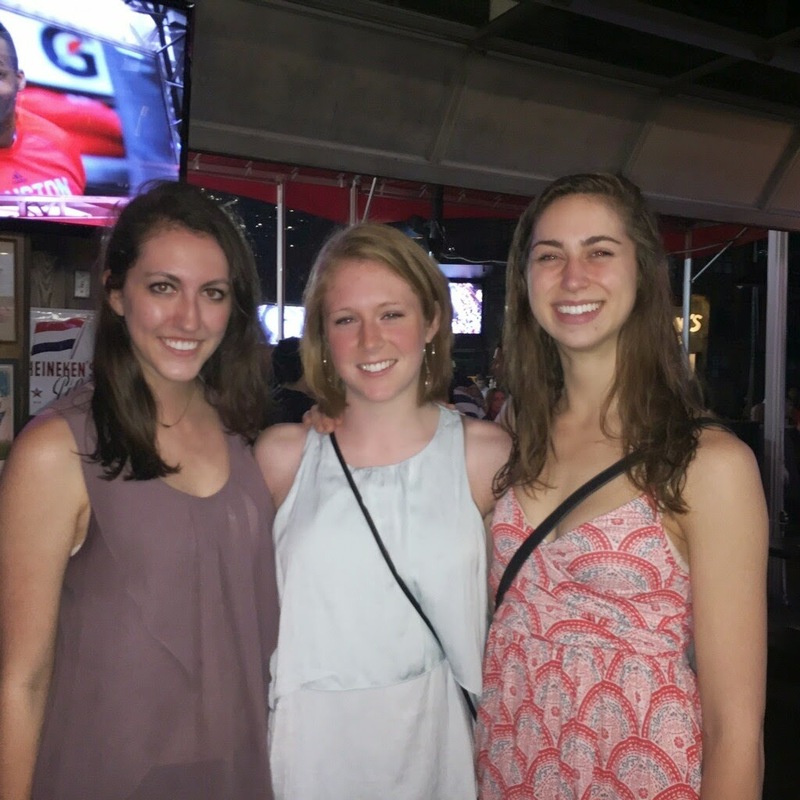 Amy Hart '14 was recently out west in Houston visiting "MJ" Jarchow '14. MJ often gets together with Julia Gibbs '13, who also lives in Houston. Julia is from TX, and has moved back out there and I believe is making furniture?! MJ spent time in TX as a youngster, and even knew Julia (I'm pretty sure) from club days before meeting up again at MIDD, and has also recently moved back out there to take a job after coaching volleyball in CT this Fall. So, when Amy came to visit, they had their own mini MCVB reunion! 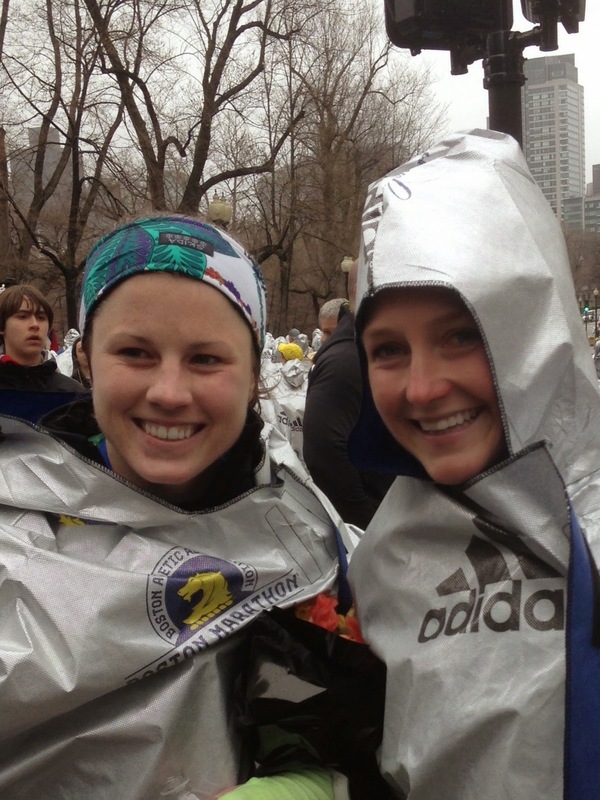 Then, today was the Boston Marathon, and Lisa Barrett was kind enough to send me this picture of MCVB alums (daughter Lauren '11, and Lindsay Patterson '08.5) who both ran in the race today. What fun! They both look great, and no worse for wear after their 26.2 mile race today!! Wonderful post-race smiles, guys! Great job, Lauren and Lindsay! !